The mission to the 1km-wide space rock, known as Ryugu, could provide clues not only to the asteroid's formation but to the formation of our solar system. The Japanese space agency have now selected dates for the deployment of smaller crafts from Hayabusa-2 . 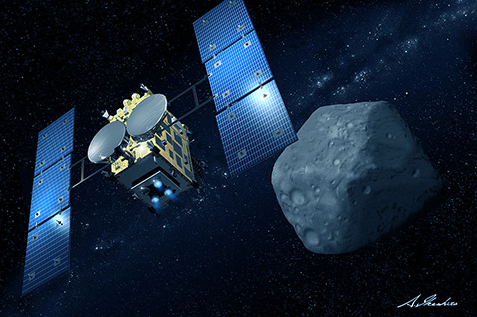 The Hayabusa-2 spacecraft arrived at the asteroid, some 186 million miles from Earth, in June. Since then, engineers have been working on plans to explore Ryugu's surface. The first will fall on 21 September, when small robots will hop out of Hayabusa-2 and onto the asteroid's surface, exploring it and sending images back home.